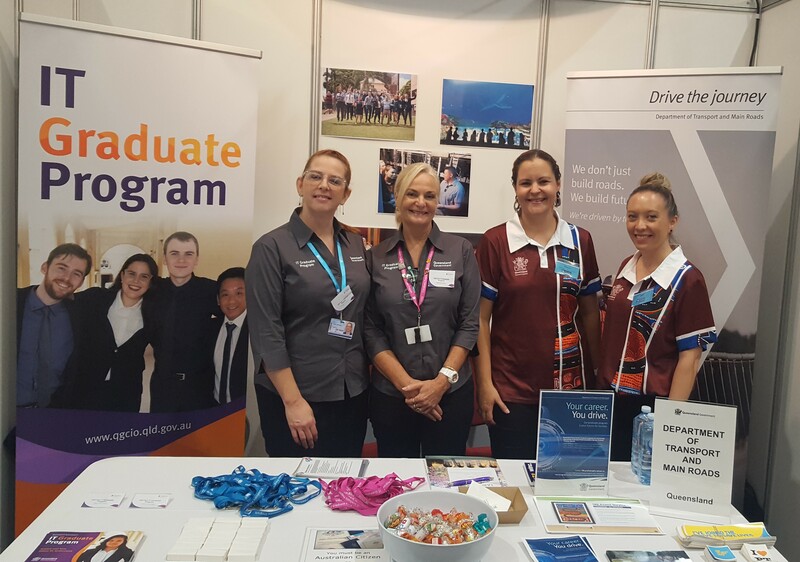 March was a busy month for the IT Graduate team, with Sally and Debby attending several universities and careers expos across Brisbane, drumming up interest for applications to the program opening in July. We will be seeking your interest in June 2019 to expand your team with an IT Graduate in 2020, play your part in securing Queensland's digital future. For information on our award winning program visit our website. Photo: At UQ with Sharon and Ruth from TMR Graduate Program.